Immersion Corporation (NASDAQ: IMMR) shares rose 37.6 percent to $10.10 in pre-market trading after the company reported a settlement with Apple. 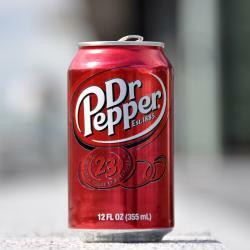 Dr Pepper Snapple Group Inc. (NYSE: DPS) shares rose 36.4 percent to $130.50 in pre-market trading. Dr Pepper Snapple and Keurig Green Mountain announced plans to merge. KapStone Paper and Packaging Corp. (NYSE: KS) shares rose 28.9 percent to $34.20 in pre-market trading after the company agreed to be acquired by WestRock Co (NYSE: WRK) for $35 per share in cash. Ablynx NV (NASDAQ: ABLX) shares rose 15.6 percent to $55.10 in the pre-market trading session. Sanofi SA (ADR) (NYSE: SNY) announced plans to acquire Ablynx for €3.9 billion. Sonic Foundry Inc (NASDAQ: SOFO) rose 14.8 percent to $2.71 in pre-market trading. CPI Card Group Inc (NASDAQ: PMTS) rose 13.3 percent to $3.50 in pre-market trading after dropping 1.28 percent on Friday. Sharing Economy International Inc (NASDAQ: SEII) rose 12.4 percent to $5.80 in pre-market trading after the company disclosed an exclusivity agreement to potentially acquire 51%+ of JoGeep to expand travel rental services with Blockchain and AI. DPW Holdings Inc (NYSE: DPW) rose 10.4 percent to $2.45 in pre-market trading. DPW Holdings announced plans to launch a cryptocurrency ATM network. ITUS Corp (NASDAQ: ITUS) rose 9.6 percent to $6.63 in pre-market trading. ITUS presented positive data from its early cancer detection technology at the ASCO-SITC Clinical Immuno-oncology Symposium in San Francisco, CA. Ballard Power Systems Inc. (USA) (NASDAQ: BLDP) rose 9 percent to $3.28 in pre-market trading. Ballard Power is expected to report Q4 and full-year 2017 operating results on March 1, 2018. The company projects to report record annual revenue of around $120 million. Fibria Celulose SA (ADR) (NYSE: FBR) rose 8.2 percent to $17.94 after gaining 1.53 percent on Friday. Avon Products, Inc. (NYSE: AVP) rose 7.4 percent to $2.61 in pre-market trading As WSJ reported late Sunday night that activists are pushing Avon to explore a sale. Tel-Instrument Electronics Corp. (NYSE: TIK) rose 7.2 percent to $3.00 in pre-market trading after dropping 1.75 percent on Friday. argenx SE (NASDAQ: ARGX) shares rose 7 percent to $80.70 in pre-market trading after slipping 0.42 percent on Friday. Aptevo Therapeutics Inc (NASDAQ: APVO) rose 6.8 percent to $3.60 in pre-market trading after gaining 0.60 percent on Friday. IMPINJ Inc (NASDAQ: PI) shares rose 6 percent to $23 in pre-market trading after declining 2.56 percent on Friday. Calix Inc (NYSE: CALX) shares rose 4.2 percent to $6.20 in pre-market trading after dropping 3.25 percent on Friday. Editas Medicine Inc (NASDAQ: EDIT) fell 9.8 percent to $32.44 in pre-market trading after climbing 5.05 percent on Friday. Myriad Genetics, Inc. (NASDAQ: MYGN) fell 7.7 percent to $37.87 in pre-market trading after rising 0.20 percent on Friday. Sohu.com Inc (NASDAQ: SOHU) fell 7.1 percent to $43.03 in pre-market trading market trading. Sohu.com reported a Q4 loss of $294.1 million on revenue of $509.6 million. Changyou.Com Ltd (ADR) (NASDAQ: CYOU) shares fell 7.1 percent to $30.74 in pre-market trading. Changyou.com reported Q4 earnings of $34.2 million on revenue of $144.5 million. Seres Therapeutics Inc (NASDAQ: MCRB) fell 5.5 percent to $10.41 in pre-market trading after declining 0.27 percent on Friday. Lattice Semiconductor Corp (NASDAQ: LSCC) fell 5.3 percent to $6.23 in pre-market trading after rising 3.62 percent on Friday. Ichor Holdings Ltd (NASDAQ: ICHR) shares fell 5 percent to $32.30 in pre-market trading after climbing 5.79 percent on Friday. BGC Partners, Inc. (NASDAQ: BGCP) fell 4.7 percent to $14.00 after slipping 0.61 percent on Friday. The Stars Group Inc. (NASDAQ: TSG) shares fell 4.7 percent to $24.60 in pre-market trading after declining 0.19 percent on Friday. Cellcom Israel Ltd. (NYSE: CEL) shares fell 4.2 percent to $9.42 in pre-market trading after rising 1.54 percent on Friday. Weibo Corp (ADR) (NASDAQ: WB) shares fell 4.1 percent to $130.60 in pre-market trading after gaining 4.28 percent on Friday.